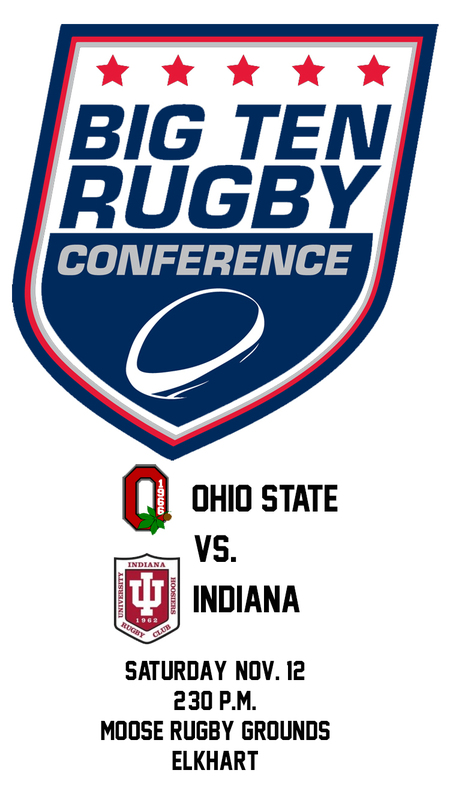 The 2016 Big Ten Rugby Championship Game featuring Indiana University and Ohio State will be on Saturday, Nov. 12, at the Moose Rugby Grounds in Elkhart. The Hoosiers, who feature 11 former Penn High School Rugby players, take on the Buckeyes for the championship at 2:30 p.m. The championship match will be available on live streaming at the Rugby Channel. The former Penn players suiting up for the Hoosiers are Teddy Terezis, Tyler Graham, Alex Dorrier, Blake Stone, Casey Smith, Jacob Parmater, Jake Garwood, Mitch Graham, Travis Katona, Tyler Sousley and Connor Marsh. The Big Ten finals will start at 9 a.m. when Purdue tackles Michigan State in the seventh-place game. Illinois takes on Minnesota at 12:30 p.m. in a clash for fifth place. Michigan and Wisconsin also meet at 12:30 p.m. for third place.